Neustar DNS Shield Wins Innovative Product of the Year at the Cyber Security Awards! We’re honored to announce that our DNS Shield (TM) solution has won the Innovative Product of the Year category at the prestigious 2017 Cyber Security Awards. Our Neustar EMEA team was on-site to collect the award at a glittering black tie ceremony on June 29th at the Chelsea Harbour Hotel in central London. 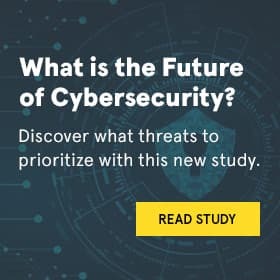 DNS Shield represents a forward-looking attempt to secure the Internet by hardwiring private network connections between Neustar’s authoritative servers and our partner’s recursive servers. By creating a private network, DNS Shield – and the website traffic that resides on it - is much less susceptible to the growing number of distributed denial of service (DDoS) attacks and domain name system (DNS) spoofing attempts that plague the modern Internet. Growing the DNS Shield platform is a key component to Neustar’s security architecture. Neustar is already protecting more than three hundred million consumers and businesses spread across a number of major service provider partners from DNS outages, and ensuring unparalleled DNS security and reliability for more than 10,000 customers. DNS Shield’s innovative industry-first approach has been recognized by the judges in selecting Neustar to be the award winner. Now in their third year, the Cyber Security Awards are independent of any industry affiliations and open to all organizations that are committed to excellence and innovation in cybersecurity. With the aim of rewarding the best individuals, teams, and companies within the cybersecurity industry, every category is judged on excellence and innovation. The judging panel for the awards includes senior managers, security professionals and academics from a range of organizations including Credit Suisse, Aviva, Warwick University and Executive Risk Magazine. If you follow us on Twitter or LinkedIn, then please ‘Like’ and ‘share’ our posts about the Awards – thanks!